Landlords are required to follow certain rules, regulations and laws in order to be in compliance with their individual state requirements. There are also some Federal laws all landlords must adhere to. One such Federal law is the Environmental Protection Agency (EPA) Lead-based Paint Disclosure law. Lead from paint, paint chips, or dust can be highly toxic to one's health, so it is critical to inform tenants of this potential danger. The lead dust can be inhaled or swallowed without one knowing. This can be very harmful to the body. When a landlord is renting out a property that was constructed before 1978, then he/she must disclose this information to all tenants renting the unit. It is imperative that landlords give the Lead Based Paint Disclosure to all tenants because of the harmful effects lead can have on the body. This form allows the landlord to disclose whether or not he/she knows of any lead based paint in the property. Then in return, the tenant will acknowledge this information. 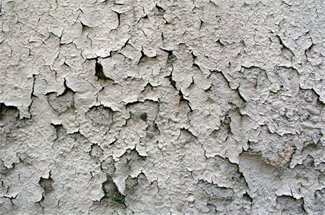 If a landlord’s rental property was built before 1978, then he/she is required by EPA regulations and other state and federal guidelines to ensure that the tenants are aware of the potential risks of exposure to lead-based paint. A landlord should use this form to meet these requirements, educate his/her tenants about the issue, and minimize the risk of legal liability. This disclosure of lead-based paint risks that complies with EPA requirements, should be served along with the Lead Paint Pamphlet. The landlord should include this form in the lease agreement to insure accountability, if tenants are moving into a pre-1978 residence. All parties will sign this form to disclose any information about lead based paint.